The Great War at sea. 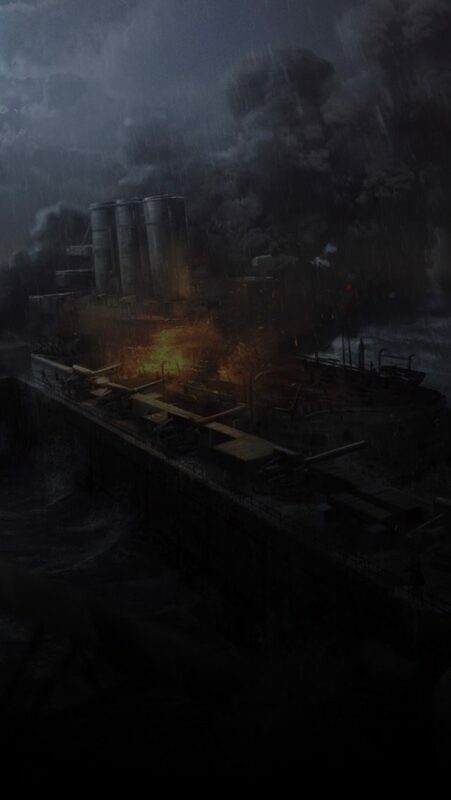 Engage in an epic naval clash as the Royal Marines and German Navy pit dreadnoughts, destroyers, and aircraft against each other while infantry fight by the iconic red cliffs of Rocky Cove. Find your favorite among the M1917 Trench Carbine, Maschinenpistole M1912/P.16, Farquhar-Hill, M1917 MG, Carcano M91 Carbine, and Type 38 Arisaka. For melee fights, try the new Naval Cutlass and Grappling Hook. Hide in plain sight and move faster across the battlefield with the Infiltrator. Take advantage of a sprint boost while calling in artillery strikes and deploying a mobile spawn for friendly troops. Rule the waves with the L-Class Destroyer. Jump into one of four seats and use cannons, torpedoes, AA guns, and mines. To dominate the air, spawn on the new, nimble C-Class Airship. Relentlessly press the offensive – or hold your ground. Conquest Assault sees attackers and defenders fight over key areas, exclusively controlled by the defending team as the match starts.